The Nigerian Stock Exchange (NSE) has announced the final delisting of the entire share capital of Great Nigeria Insurance Plc from its trading platform. The company had last year started the process of voluntary delisting its shares so as to shield it from any enforcement of action that the Exchange may take in light of its erstwhile outstanding free float deficiency. Godstime Iwenekhai, head, listings regulation department at NSE, in a circular filed on the NSE’s official website noted that the delisting became effective from Friday, January 25, 2019. 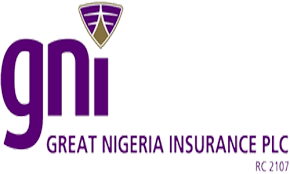 “Further to our market bulletin of December 13, 2018 notifying dealing members of the approval of the application filed by MBC Securities Limited on behalf of Great Nigeria Insurance Plc for the voluntary delisting of the entire share capital of GNI, please be informed that the entire issued share capital of GNI were today, Friday, January 25, 2019, delisted from the daily official list of the Nigerian Stock Exchange,” the circular said. The company in a notice issued last month had explained that the delisting process, will provide the company an exit opportunity to minority shareholders who do not want to remain in an unlisted company. “Over the last 5 years, there is little or no trading activity on the shares held by the minority shareholders. There has also been a considerable fall in trading volumes over the last 12 months with an average daily volume of circa 1,200 units during the period March 2017 to March 2018” Olajumoke Bakare of First Almond Attorneys, the company’s secretary had said. She added that “Shareholders are not benefiting from the continued listing as they are not getting any exit opportunity and their investments have been locked up and they find it difficult to dispose of their shareholding.